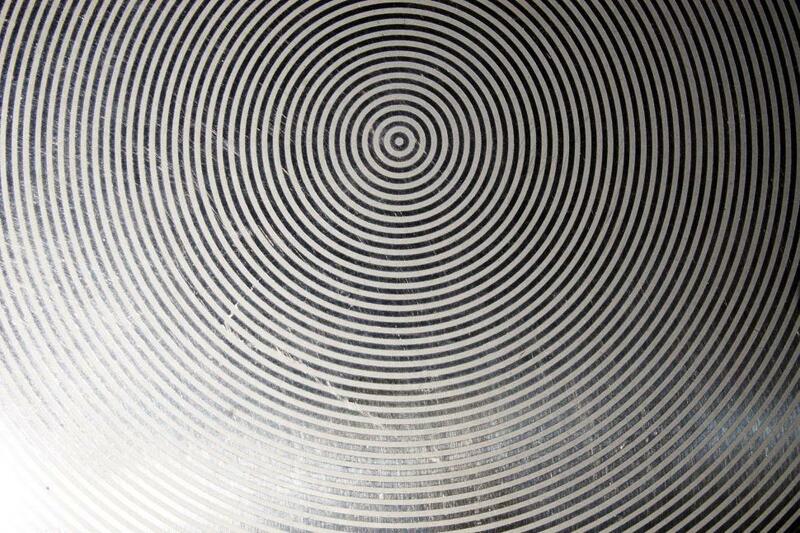 Pattern of many concentric circles on a sheet of metal. Metal background with circular texture. Cool shot! I'm sure I can use it for something on noisehelp.com!